“We’re finding it difficult to find positive charts that can paint a positive story on the outlook for the U.S. economy and the global economy,” said one investment strategist. 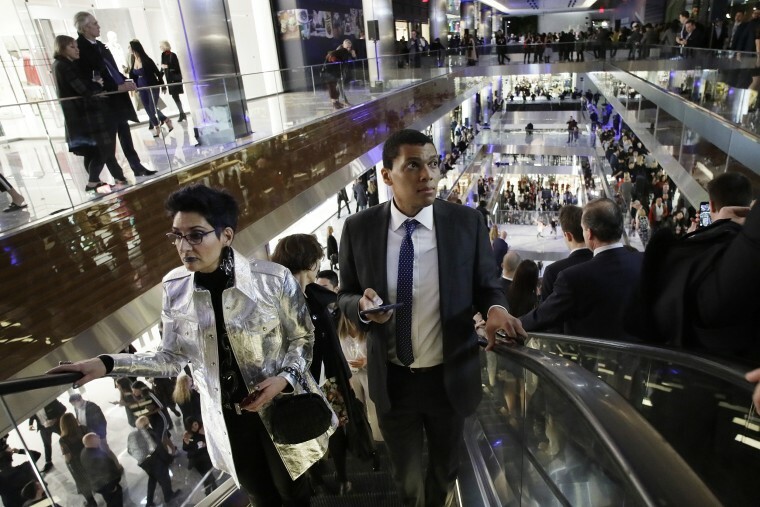 After weathering stock market gyrations, a government shutdown, and the looming threat of a trade war, economists are starting to worry that the resilience of the American consumer has finally been exhausted. Consumer spending ticked up just 0.1 percent in January, and December’s drop of 0.5 percent was revised down to a 0.6 percent decrease. (February spending data has been delayed by a month due to the effects of the government shutdown.) Personal income grew by 0.2 percent in February. This was a recovery from the 0.1 percent drop it sustained in January, but was below expectations of an 0.3 percent increase. “The spending numbers continue to be disappointing, in tune with the broader economic concerns that materialized in December and January,” said Greg McBride, chief financial analyst at Bankrate.com. “The surge in consumption last year on the back of the tax cuts has now been followed by a sharp correction,” Pantheon Macroeconomics chief economist Ian Shepherdson said in a note to clients. Without the impact of a big tax cut to goose spending, the economy appears to be settling back to the more moderate growth that characterized much of the economic recovery. Commerce Department figures released Thursday found that the economy grew just 2.2 percent in the fourth quarter of 2018, a downward revision from the initial estimate of 2.6 percent. Full-year growth was a modest 2.9 percent — below the 3-plus percent the White House had projected. “The bigger picture here is that the trend in real consumption is reverting to its pre-tax cut pace, about 2.5 percent annualized,” Shepherdson said. Although the Federal Reserve’s recent decision to hold off on rate-raising buoyed market sentiment, there are growing indications that the optimism of average Americans is starting to fray. The University of Michigan’s Surveys of Consumers found that consumer sentiment had rebounded from February, but overall sentiment as well as current conditions and future expectations were all down from a year earlier. Earlier this week, the Consumer Confidence Index showed a drop of 7.3 points, with assessments of both current and future economic conditions falling. “Confidence has been somewhat volatile over the past few months, as consumers have had to weather volatility in the financial markets, a partial government shutdown, and a very weak February jobs report,” Lynn Franco, senior director of economic indicators at The Conference Board, said in a statement. “My sense is that consumer sentiment reflects what people see and what they hear on the news,” said Harry Holzer, professor of public policy at Georgetown University. “The Michigan survey is tied mostly to the stock market. It’s very sensitive to swings in stock prices, while the Conference Board survey is more tied to the job market,” said Mark Zandi, chief economist for Moody’s Analytics. The diminished optimism expressed by the survey respondents could be an early indicator that the job market is weakening. “My guess is the employment data we’re going to get going forward is going to be meaningfully softer. The labor market’s still good but it deteriorated very measurably last month,” Zandi said. “Now that we’ve seen the stabilization of the employment rate, then people start to think about saving more,” said Ian Harnett, chief investment strategist at Absolute Strategy in London, as people adjust their behavior as a hedge against the rising threat of job loss. As a percentage of disposable income, the personal savings rate was 7.5 percent in January, according to the Commerce Department. This was slightly below December’s 7.7 percent savings rate, which marked a roughly three-year high.